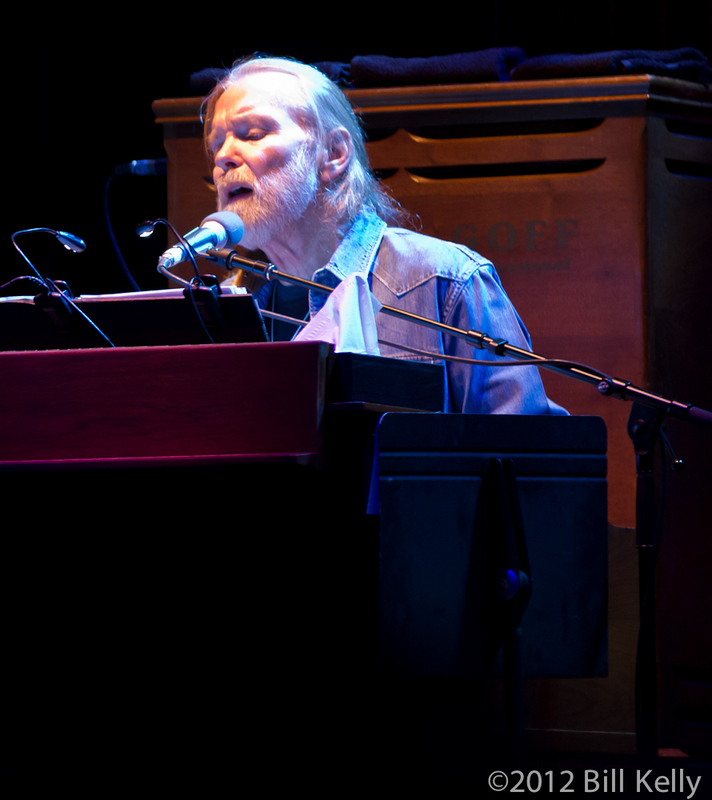 More than March madness, Spring training or early crocuses, to many New Yorkers the sure harbinger of spring is the Allman Brother’s multi-night run at the Beacon. 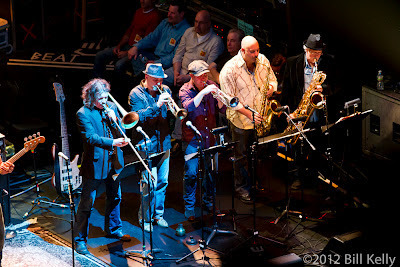 Opening the show with a recording of Bill Grahm’s introduction to the classic Filmore East concert of June 27th, 1971, the band covered songs both on the original record plus Midnight Rider, Statesboro Blues and Whipping Post from the 2006 live bonus release from that historic show. In between the opening Trouble No More and rousing Whipping Post encore, the Allmans were joined for several songs by the Jukes horns, who played with the band through amazing covers of The Band’s It Makes No Difference, and, according to Haynes, Bill Grahm’s favorite tune, Van Morrison’s Into The Mystic. A mid show accoustic set included a rare rendering of Duane Allman’s Little Martha. 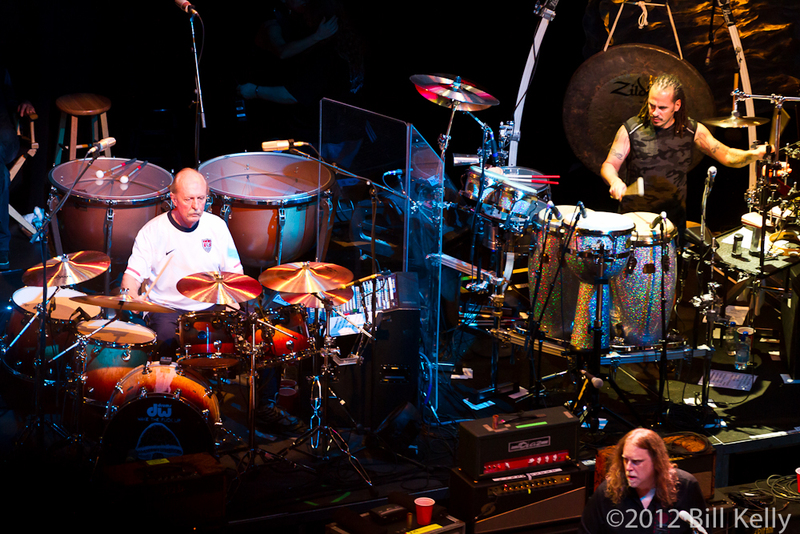 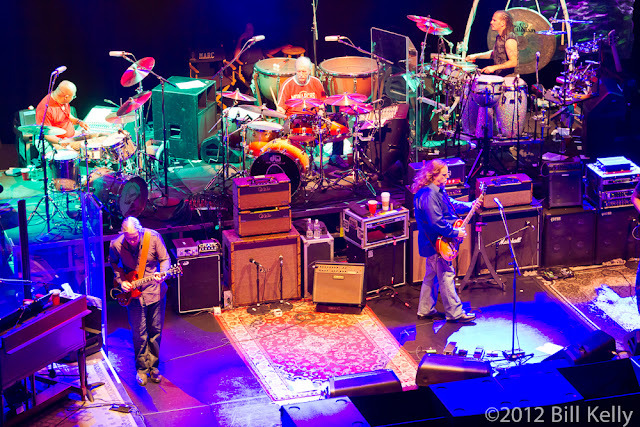 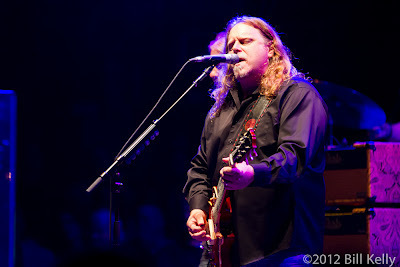 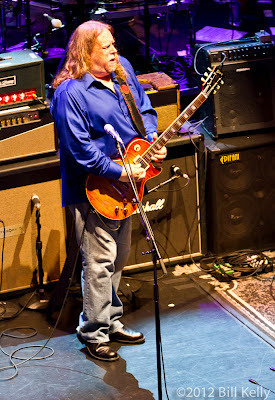 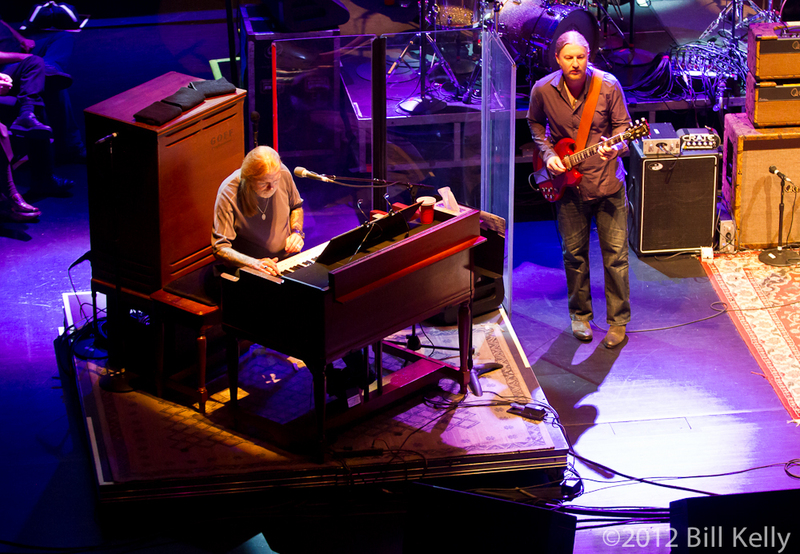 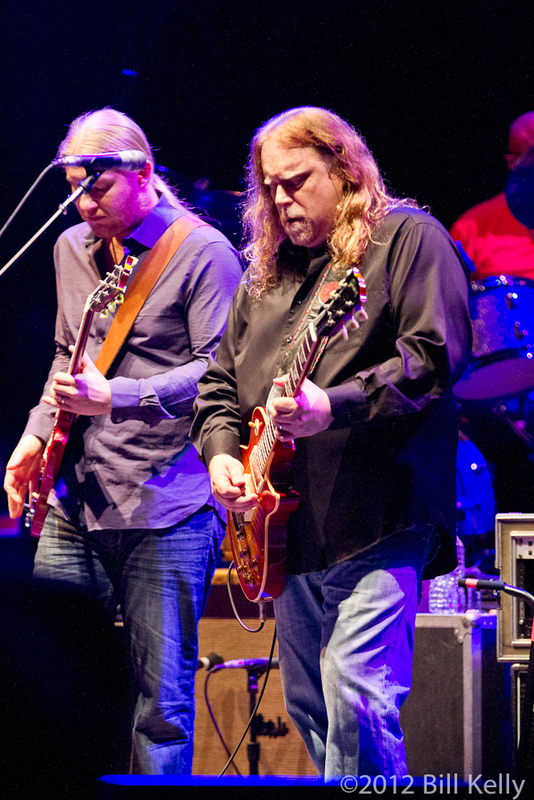 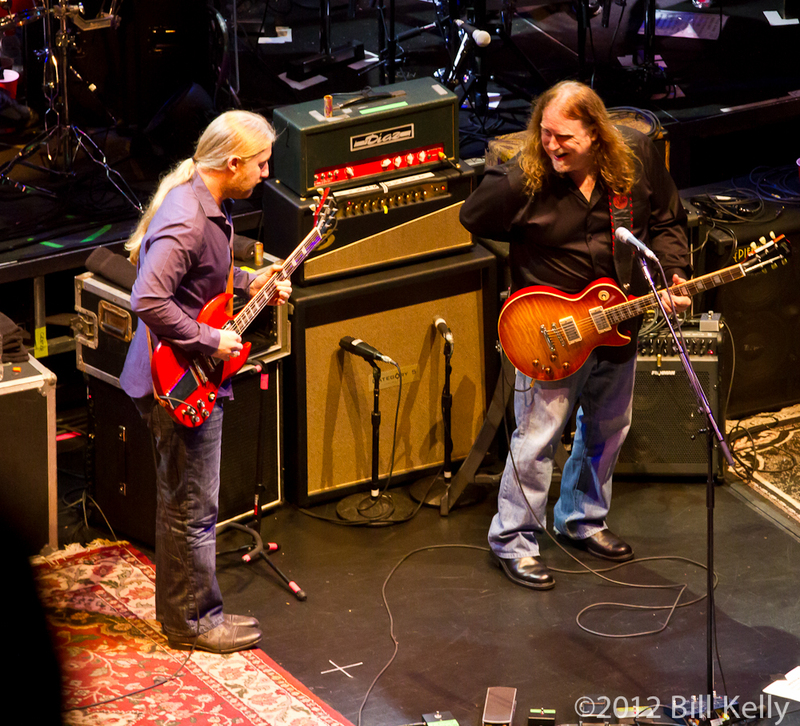 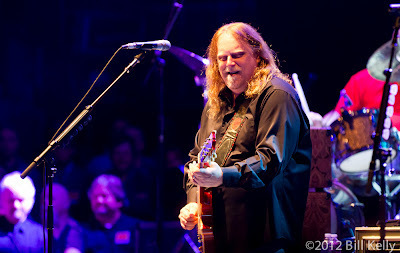 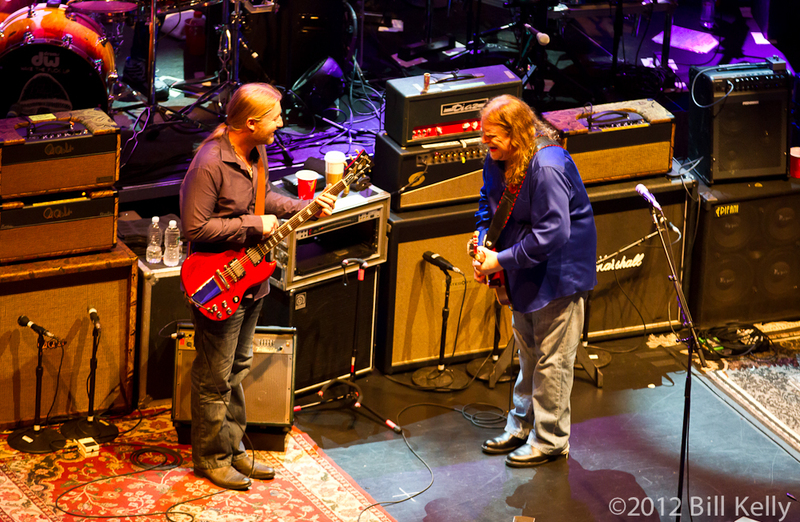 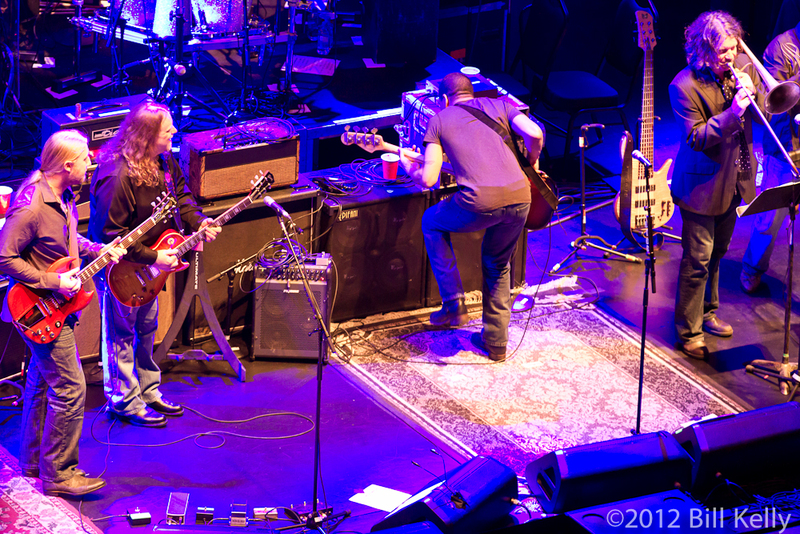 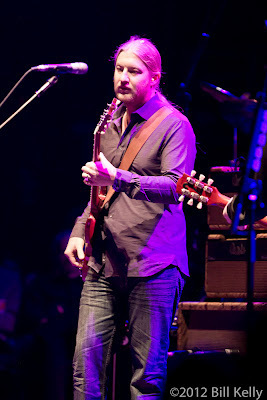 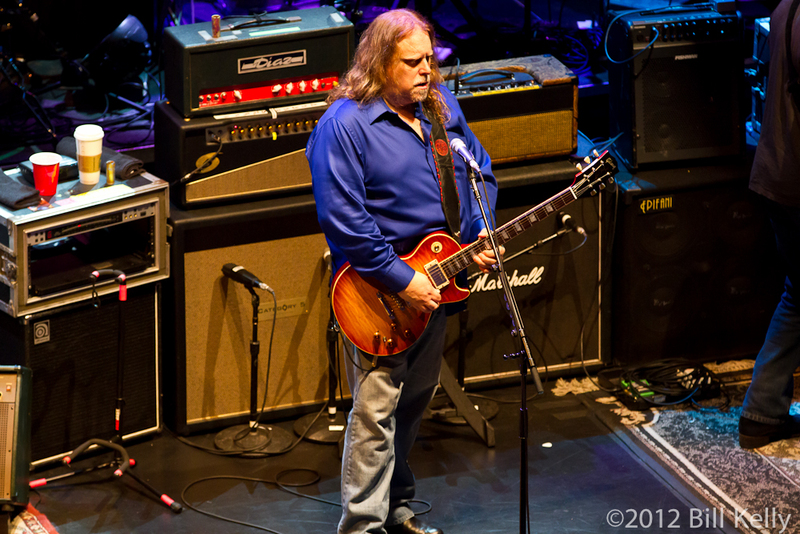 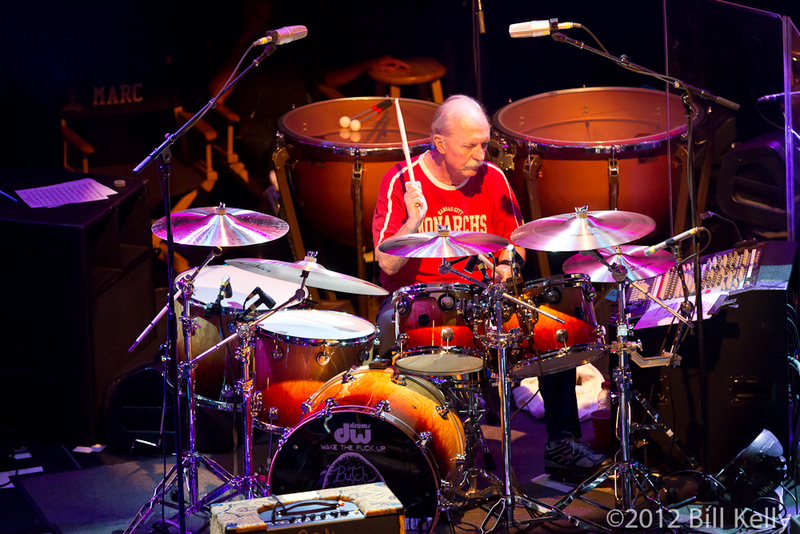 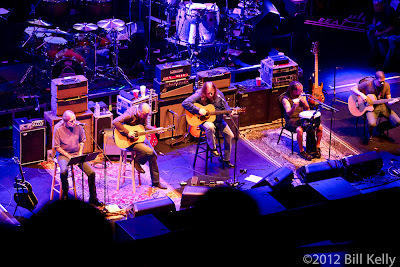 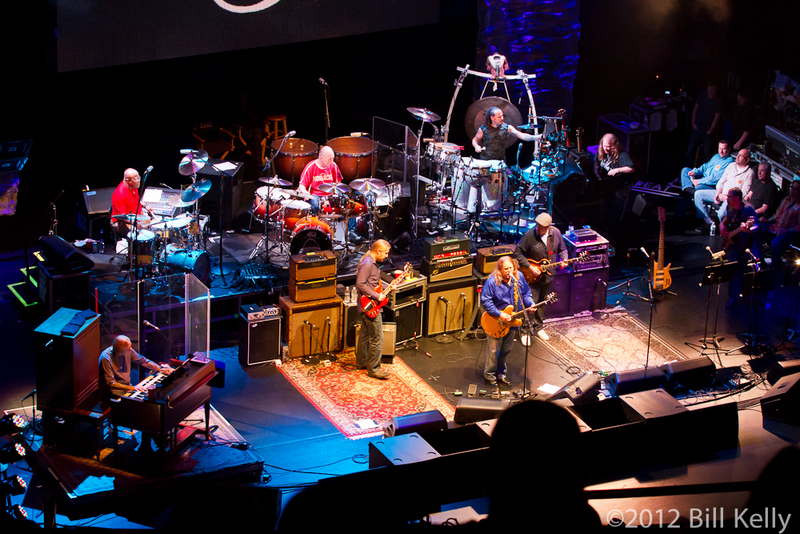 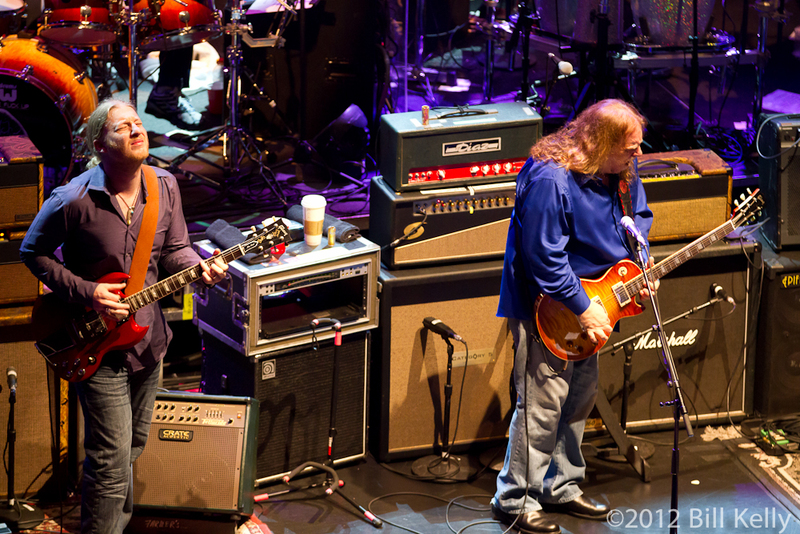 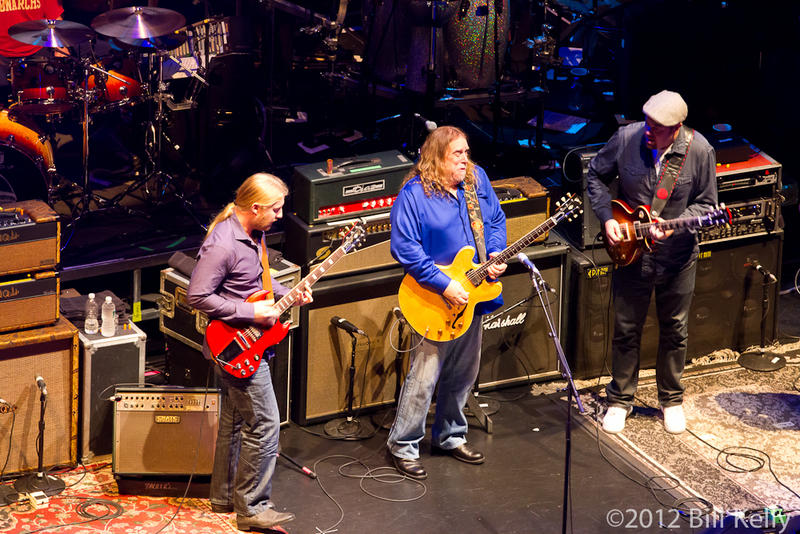 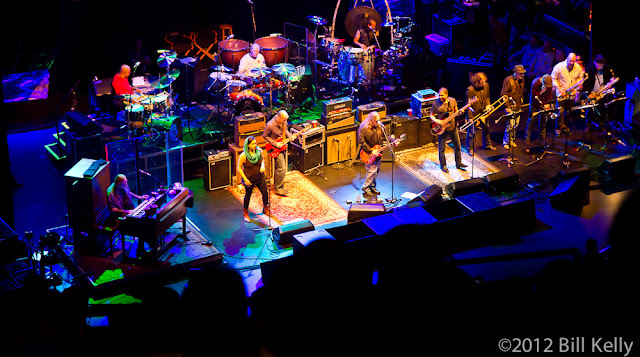 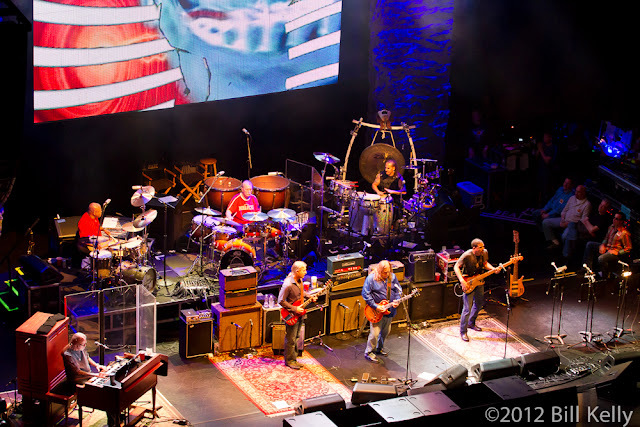 Featuring three percussionist (including original drummers Butch Trucks and Jaimoe) along with Allman’s organ, Derek Trucks and Warren Haynes guitar leads and bassist Oteil Burnbridge, the band filled three plus hours with what many in the audience said were the strongest performances seen in a while. The usual Trucks/Haynes guitar dynamics were on display, driven by Burnbridge’s soulful, passionate bass. 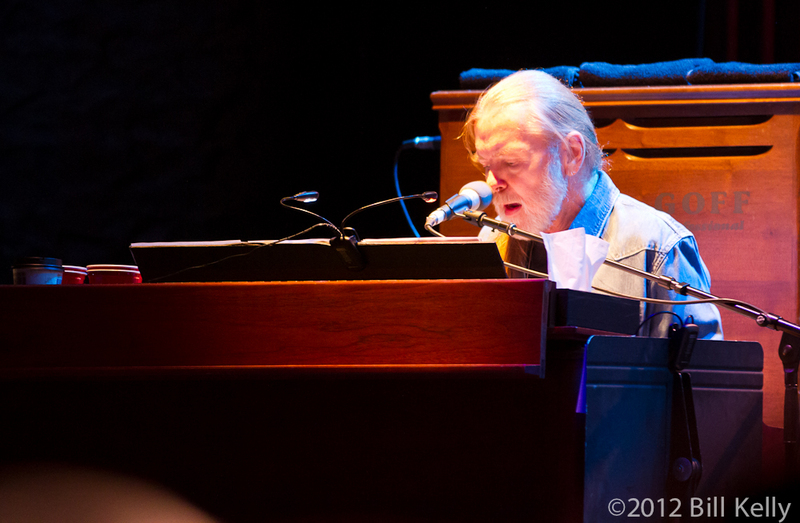 Gregg Allman appeared to be in strong voice and the three percussionist provided a strong foundation for every song, with each drummer sounding distinct from the other. 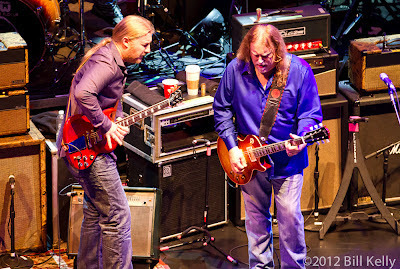 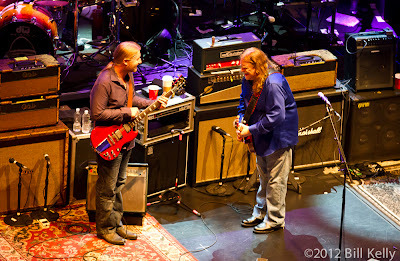 The band seemed revitalized - soaring guitar solos and Allman’s B3 amplifed organ pulsing through the night. 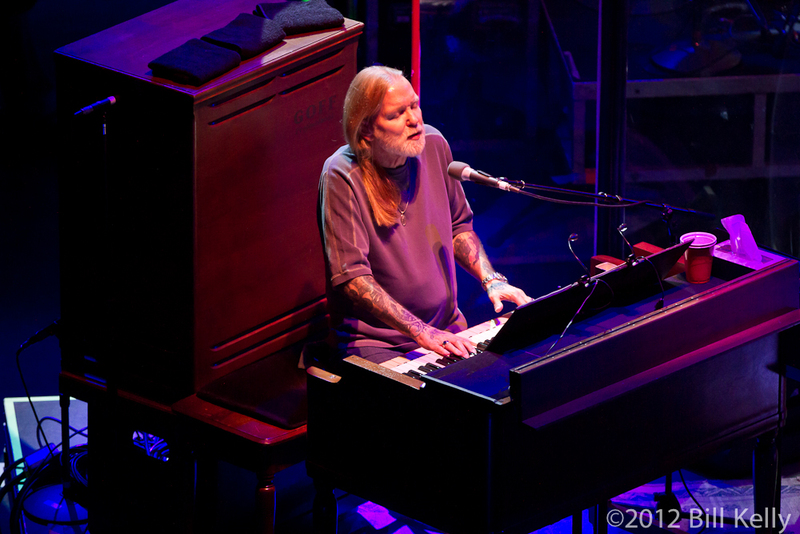 Many fans on the way out wondered how many more runs the Allman Brothers had left, how much more gas was left in Gregg Allman’s tank. Listening to the original recordings from that historic night and comparing them to Wednesday’s performance, one gets a sense that the Allman Brothers road may go on for a bit longer.